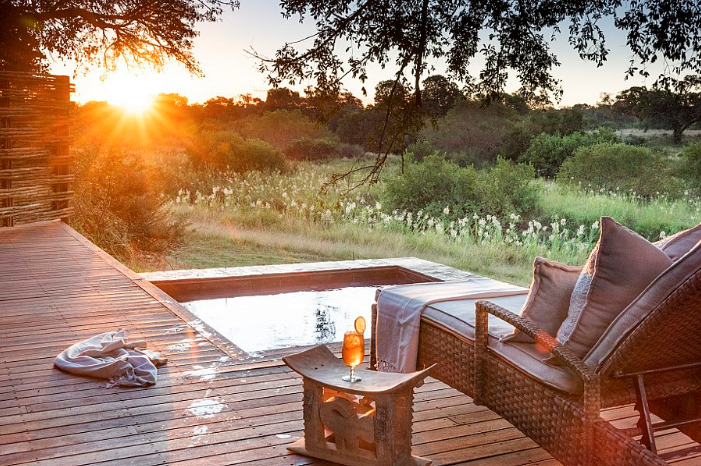 If you want to experience the pinnacle of bush luxury, then a safari in one of Kruger’s private reserves will satisfy your every need for a luxurious safari experience. Set along most of the unfenced western boundary of the Kruger National Park, these private reserves offer immaculate accommodation, fewer restrictions than in the public park (like off-road driving, guided nature walks and night drives being permitted), and virtually guaranteed Big 5 sightings. Kick off this swanky vacation in South Africa’s Mother City, regularly voted one of the top tourist destinations in the world. Enjoy the exceptional service, fantastic cuisine and tranquillity on offer at the elegant Ellerman House, a favourite among stars like Ellen DeGeneres and Oprah Winfrey. 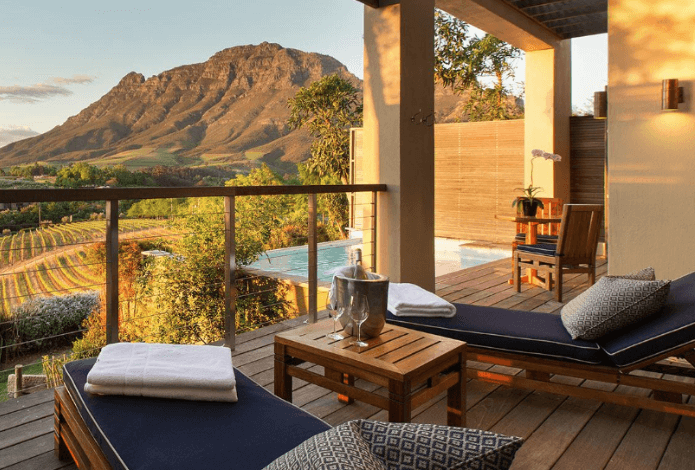 After four days of exploring Cape Town’s sights and gorgeous beaches, you’ll be whisked off to an award-winning safari lodge in a private concession with front-row seats to the Kruger National Park. Lebombo Lodge’s spacious suites and fine dining experiences perfectly compliments the superb Big 5 sightings you’ll experience in the Kruger. 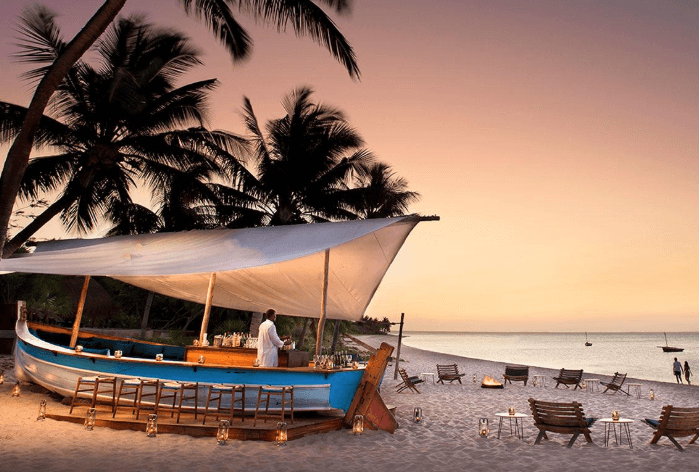 This luxury safari package presents you with the best that Southern Africa has to offer, culminating on a private coral island surrounded by the warm waters of the Indian Ocean. This is one of safari’s most popular routes: Victoria Falls to Kruger to the Seychelles. Designed for couples looking for exclusivity, intimate hideaways and outstanding wildlife encounters, this itinerary includes top experiences like encountering the world’s biggest waterfall, seeing the Big 5 and basking in sunshine on a palm-fringed beach with no other towel in sight. 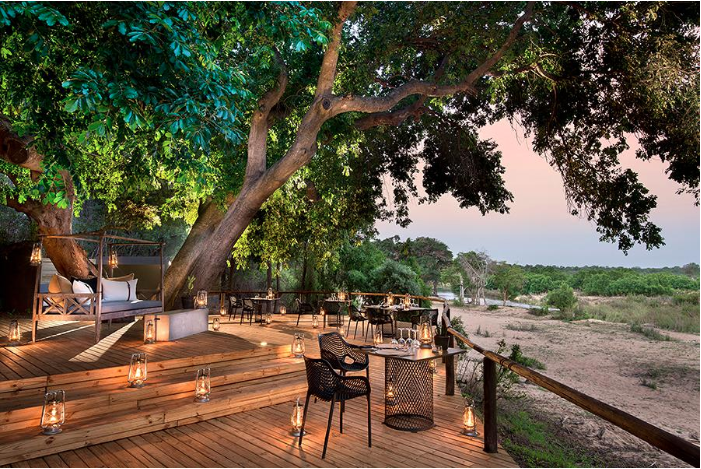 Stay at a collection of Africa’s best hotels and safari lodges like Dulini River Lodge in the acclaimed Sabi Sands Game Reserve, the world-famous Saxon Hotel, The Motse on the edge of the Kalahari Desert, and the award-winning Cape Grace in Cape Town. Enjoy exceptional Big 5 game viewing in Kruger, superb service and culinary experiences, and discovering unique desert wildlife like meerkat, aardvark and the elusive pangolin in South Africa’s biggest privately-owned reserve. 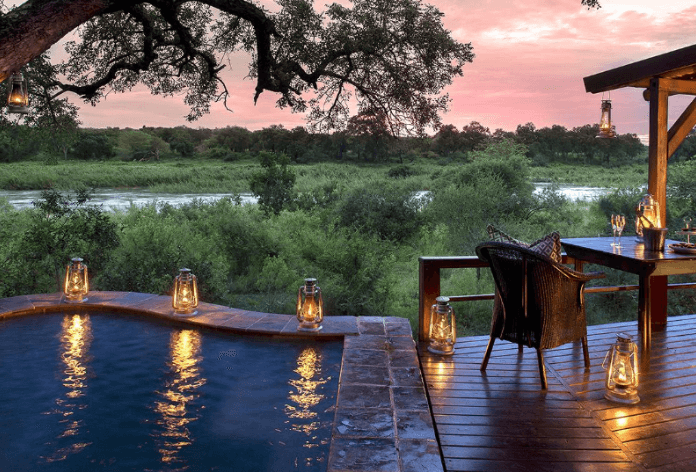 This holiday of a lifetime offers you and your family a chance to experience one of the world’s most-beloved cities, unbeatable game viewing in the Kruger, and barefoot luxury on a tropical island. You will begin your African holiday at the splendid Cape Grace in Cape Town, situated in the popular V&A Waterfront. Then you’ll enjoy game drives and guided walks in the sensational Sabi Sands Game Reserve, before saluting breath-taking sunsets on a sheltered coastline on Mozambique’s Benguerra Island. This sensational journey showcases South Africa’s incredible cultural and natural heritage, while you decide the pace of the itinerary. Marvel at Cape Town’s scenic beauty while staying in an esteemed neighbourhood high on the slopes of Table Mountain. Next stop: the glamourous Birkenhead House, set on a cliff overlooking the alluring Walker Bay – the stage for the world's best land-based whale watching. Then you’ll move to the vineyard-clad valleys of the picturesque Franschhoek for a taste of opulent French-inspired country living at La Residence. Cap your holiday at a luxurious safari retreat alongside the Kruger National Park, with a big emphasis on privacy. Spend 13 days journeying from one of the New Seven Wonders of Nature to South Africa’s first World Heritage Site, with a premier Big 5 safari in between. Begin your holiday at a majestic hotel on the slopes of Table Mountain, overlooking the Atlantic Ocean and a stone’s throw away from the Blue Flag beaches of Camps Bay and Clifton. Then spend a few days at the exquisite Delaire Graff, one of the top wine estates in South Africa. 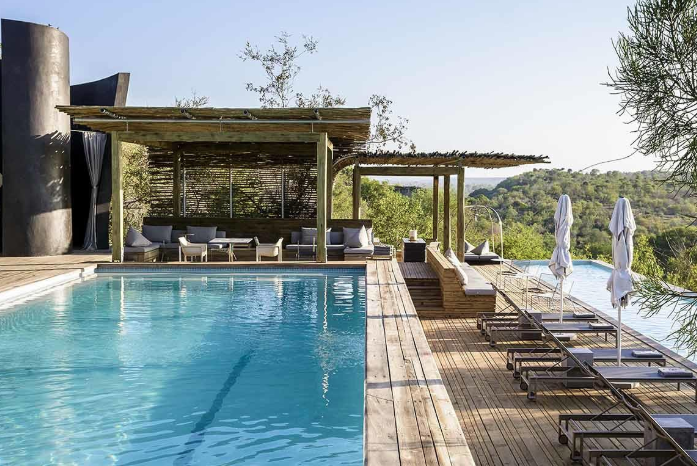 The safari aspect of your journey will kick off at a chic and contemporary tented camp in a private game reserve adjoining the Kruger National Park. Here you’ll go on game drives to spot the Big 5 as well as the reserve’s giraffe, spotted hyena and rare wild dog. 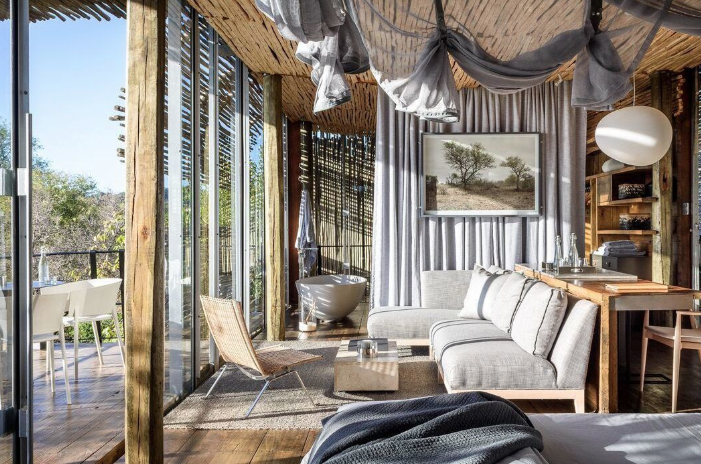 Your last few days will be spent at a zen-like forest lodge in the wildlife-diverse Phinda Private Game Reserve, located on the subtropical Indian Ocean coast of South Africa. 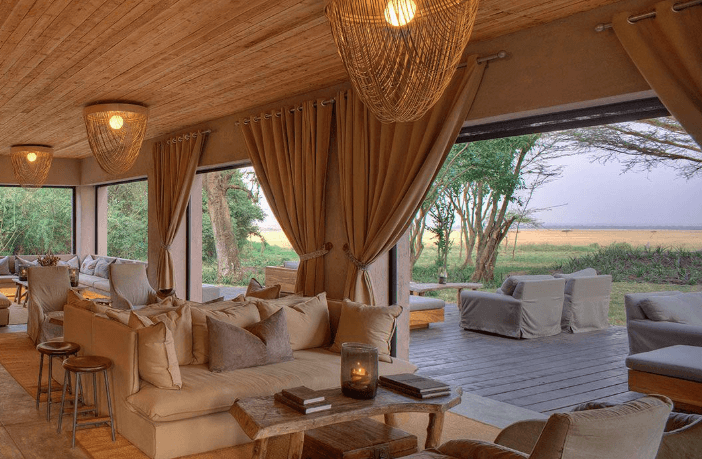 Ideal as a luxurious family getaway or an indulgent honeymoon with a difference, this safari is all about outstanding service, exquisite cuisine, stunning lodges, and game viewing in phenomenal wilderness areas. Journey from South Africa’s home of the Big 5 to the untamed birthplace of guided walking safaris. 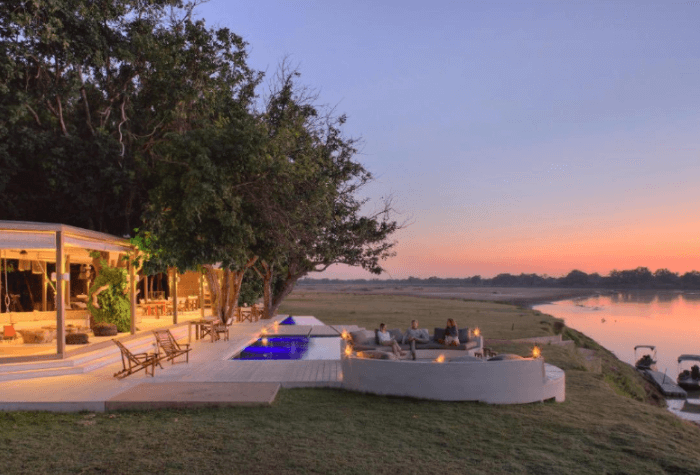 Throw in a stay at a wonderful lodge on the Zambezi River just upstream from the colossal Victoria Falls, and you have a Southern Africa safari itinerary that’s hard to beat. Experience world class cuisine and sample award-winning wines in South Africa’s diverse city of Cape Town. 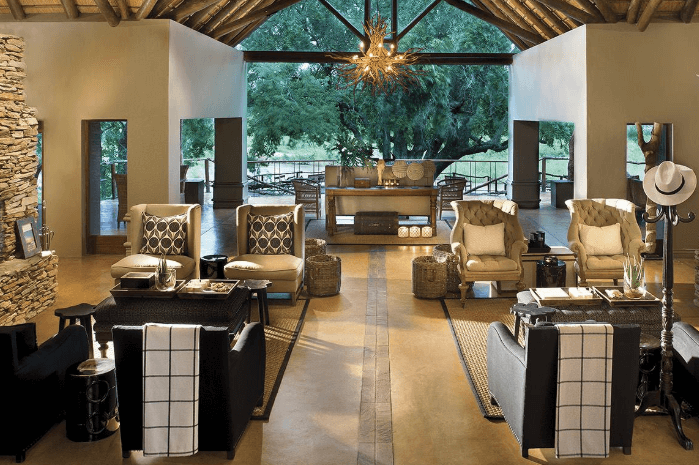 Drink in sheer luxury and unrivalled Big 5 sightings at two romantic retreats in the magnificent Sabi Sands Game Reserve. This is an unforgettable honeymoon safari in Africa. This itinerary is perfect for families looking for a combination of contemporary bush living and barefoot beach luxury. Expect superb game viewing in the Kruger and continue your family-friendly adventure to an idyllic private beach in Mozambique. Go kayaking, diving and snorkelling while the kids are kept busy with fun beach activities like volleyball, surf lessons and sand castle building. See multiple and iconic blockbusters from the comfort of luxurious safari lodges and hotels. Visit three outstanding African destinations in 11 days: the Masai Mara, Kruger National Park and Cape Town. Start with sensational game viewing in Kenya’s flagship Masai Mara, the stage for the action-packed Wildebeest Migration. Move to the iconic Kruger for unbeatable Big 5 game viewing in one of South Africa’s top private game reserves, the Sabi Sands. Cap your safari in one of the most popular tourist destinations in world, Cape Town.